There were days when my recipe hedonism used to get a lot more randy. 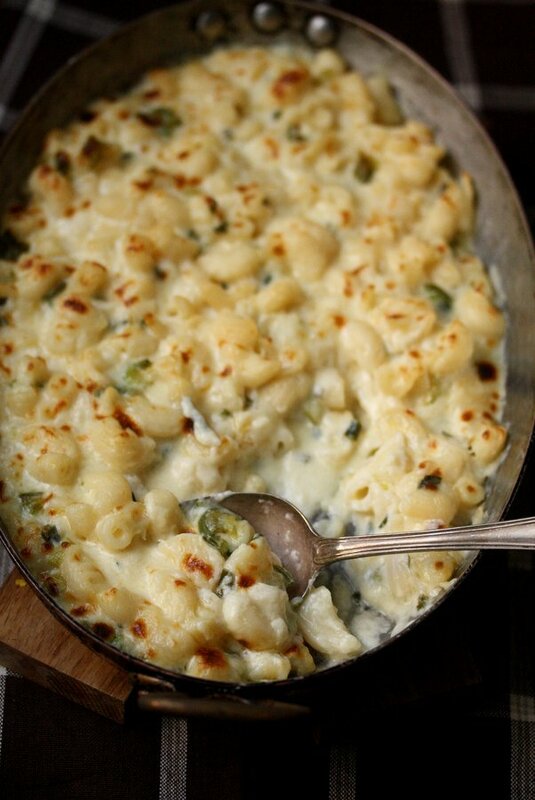 And this gluten-free jalapeno mac and cheese is from that golden era. I don’t really cook as much with dairy anymore, but when I do, it’s something like this sinful, gooey baked pasta that I embrace in proper go big or go home fashion. If you’re embracing sweater weather in a similarly sinful way, hop on over to Healthination to watch me make this spicy, gluten-free take on classic mac and cheese! This is such a man magnet. I’m pursuing one right now – he’ll never guess this is gluten-free, heh-heh. fingers crossed this one’s a keeper. taking about the mac of course. Simple, fast and delicious mac ‘n’ cheese! What’s not to like in this casserole? :) The weather is bit chillier today and it’ll be the same throughout the coming weekend, so we’re gonna try this one out. We’ll try to find some rice flour to see how that turns out:) Does it affect the taste?